I think we’d all agree that Buenos Aires is pretty well-served by public transport. The subte is very cheap and convenient, taxis are relatively cheap too and ridiculously plentiful, and once you work out how to read a Guia-T and get access to the buses as well then you have a Triple Threat of transport options that can take you wherever you need to go. So why would you want to ride a bike? Because riding a bike (or a ‘bici’ as they’re known locally) in Buenos Aires opens up the city and allows you to see a lot more. Cyclists in Buenos Aires are, for all practical purposes, invisible. 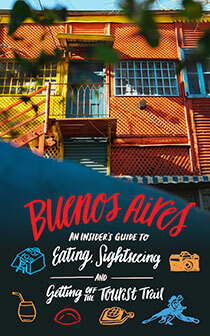 This means that you can travel through areas that you’d never dream of walking in (La Boca etc. ), and you can even do it at night (with the proper safety gear). But what about the traffic; the roads; the risk of getting your two-wheeled companion stolen? Read on to find out. Isn’t the traffic too bad for cycling? The traffic in Buenos Aires IS bad, but it’s really no worse than in any comparably-sized city elsewhere in the world. It’s true that the driving habits of Argentines leave a lot to be desired, but given that as a cyclist you should always assume that drivers are homicidal and/or insane, they’ll do no more than conform to your expectations! Mitigating the traffic to an extent is the fact that lots of the streets in Buenos Aires are one way. This means there’s no unexpected turning and all the traffic is headed in the same direction, making them safer for cycling. The two types of vehicle to watch out for in Buenos Aires are taxis and buses. Taxis because they think they own the road and often drive fast and dangerously, and buses because the driver might not be able to see you. It’s best to keep a safe distance from both, particularly buses (to avoid getting run over but also to avoid breathing in a lungful of disgusting smoke!). The roads in Buenos Aires are for the most part ok, not great, but generally no worse than in some North American cities. Yes, you will have to dodge some potholes and skirt some gravel patches, but that’s part and parcel of riding. Where possible, opt to cycle on the wider roads, as they allow for a decent channel between the traffic and the parked cars. Drives tend to stick to the middle of the road, which creates a cycle lane for you on either side of them. The only caveats with the bike paths is that sometimes they’re not particularly well constructed and that pedestrians use them without being conscious of the fact that they’re actually for bikers. When and where can I ride? On weekdays it’s best to confine your riding to between 11 am and 4pm, as this period is after the morning rush but before the afternoon buses take over the city. If you have to ride before or after this period, try to avoid main avenues and transportation hubs. The microcentro is best avoided completely on weekdays (it’s just too busy) but is great on weekends. In fact riding on Sundays anywhere in Buenos Aires is absolutely brilliant: you have entire avenues to yourself and you can go wherever you like. I’d actually go so far as to say that it would be worth having a bike here even if you only ever rode it on Sundays. Keep in mind that Buenos Aires has some cobblestoned streets which can be painful to ride on if you don’t have front suspension. How will I get a bike? A ‘playero’ (a ‘beach bike’ with one gear) will set you back around $400-800 pesos on Mercado Libre or from a bike store (closer to $350 pesos for a used one). A nice street bike (the kind you’ll have to keep your eye on) on the other hand will set you back at least $1200 pesos. High-end Argentine or imported bikes cost a lot and represent significantly poorer value than you’ll get in the US or Europe. For cycling around the city there’s really no need to get anything flashier than a one-gear cruiser. There are very few hills, so if your bike has gears you’re unlikely to use them much, if at all. Also if you have a cheap bike you won’t be too upset if you come out of a chino one day and it’s no longer where you left it. If you’re looking for a bike store, Bicicleterías Canaglia is the most popular chain in town, and they’re fine unless you want to buy a new Cannondale or something. Take a look at their website to find a branch near you. Won’t my bike get stolen? Bike theft is actually not as big of a problem as Buenos Aires’ reputation for rampant robbery would suggest. The reason is that there isn’t as big a market for used bikes here as there is in other places, so thieves aren’t on the lookout for them so much. Still, you should of course always use at least one U-lock (two if your bike warrants it) when you leave your bike unattended. Biking in Buenos Aires is a really good way to know the city, is an unusual way to explore the city and see it from another perspective. I think it’s important to say that there are a lot of Bike City Tours in BA, so its not necesary to get a bike. In my case I hired a very good tour because they had guide, so If you want to know Buenos Aires in a bike, here is the link. Bike tours are in abundance in Buenos Aires. The masa critica is a great way to connect with the biking culture in the city. 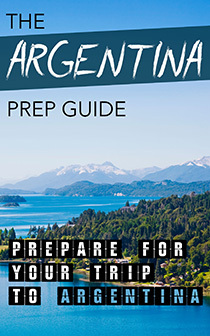 Another tour company to check out is http://www.bikingbuenosaires.com. They also rent and sell bikes for decent prices. i rented a bike for my stay this year. i found it on craigslist. craigslist is also great if you are looking to buy a used bike. people leaving the city usually have great prices. in my neighborhood, san telmo, there are two bike shops that sell used bikes too. the riding here is so much fun, especially if you have city riding experience. in the states, bikes have the same road rules as cars. here, that is all out the window. wrong way down the street, on the side walk, run a red light. no big deal. no one blinks an eye. the nature reserve below puerto madera is a fun ride and semi gets you out of the city. and i love riding downtown on sunday. there is so much to see when you arent in a rushing crowd. RIDE BICIS !!!!!! !